When it’s all about to fall apart, what is a mother to do to hold it all together? Months ago I wrote a blog about how Cowden’s Syndrome changed… my phone. And its true. I could not manage the appointments and chronic craziness without Siri, my BFF. And, when the navigation in my car quits, which it often does, Siri is the one to get me home. So how did Cowden’s Syndrome change my entire way of eating? After our diagnoses in the fall of 2011, my dear husband ate his way through his stress. I can’t blame him. Imminent cancer risks for your young daughter. Thyroid nodules galore. Biopsies every 6 months. Vascular problems. Pain. A wife facing a mastectomy, and subsequently a cancer diagnosis, and a hysterectomy. Tumors on her spleen… and the list goes on. By November of 2011 he was here. I had known him since 1997 and had seen his weight fluctuate from attempt after attempt to get the stress eating in check. Being a big attractive guy, he was able to disguise his weight very well for most of the “ups.” But I knew this level of yo-yo dieting was not good for him. I also knew we needed him, strong and by our sides. My husband is soft-spoken, and talks to very few people by his own choosing. I had to get his permission before I hit “publish” on this one. But if you listen carefully when he does talk, he always has valuable advice and a story to tell. Some time over the winter of 2011, into early 2012… maybe it was right after my double mastectomy in March of 2012, he had a revelation. While sitting uncomfortably on the couch one night, he tried to move a pillow out of his way. Only to realize it was his waist. A month after that during a physical he left the doctor’s office with prescriptions for his high triglycerides, his high blood pressure and his high cholesterol. Darned if I was going to put MORE junk in his body we went to a trusted cardiologist. He told Felix there was nothing wrong with him that losing 50 pounds wouldn’t fix. He gave him a script for a prescription strength fish oil. We tossed the other scripts in the trash. That was the moment of truth, and we went on a hunt together for what would help. Fortune, and opportunity, and the grace of God had placed a new friend in our lives that year. She was a blessing to Meghan, but subsequently to all of us. She had begun her Isagenix journey that year and was seeing incredible success. For years I knew that diet and nutrition were the key to so many things. Meghan never even spoke until we removed gluten, dairy and soy from her diet at the age of 2. 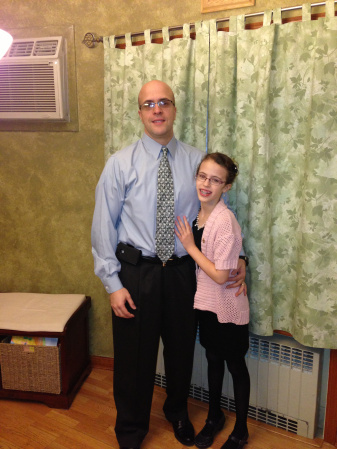 We saw her developmental delays resolve as her stomach quieted. We moved mountains to feed this kid right, and provide her with nutritional supplementation of only the highest quality. As I listened to my new friend describe Isagenix, I heard words I already knew to be true. This company had everything I knew about nutrition – ready to help my husband. So we started him on the “30 Day Cleansing and Fat Burning System.” Within days he reported feeling better. He was expressing clarity of mind. He had energy. He had less of a desire to eat junk. His palate was changing and he was fighting me for the rest of the vegetables at dinner. I was amazed, grateful, and impressed. But not surprised. It all made sense. Put maple syrup in your car’s engine and you ruin it. Run it of pure gasoline, change the oil regularly, and you are golden. 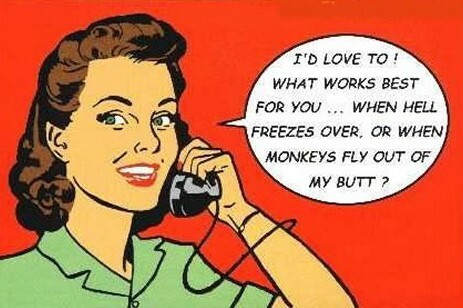 Why would we treat our bodies any less efficiently? Over the next 11 months I dutifully adjusted his “autoship” so that the products would arrive at our home ever 29 days. He modified the portions of the program that work for him, and he woke up in August on his 40th birthday 50 pounds lighter than he had been over 18 months before. For the first time, in the 17 years I have known him, the weight is GONE. RELEASED – not lost. It will NOT be found again. After all of this regulating the autoship, and paying monthly for high quality nutrition, some time in May I looked up and realized I was missing a HUGE piece of this. First of all, I ordered myself some meal bars, a few shakes, and some E+shots. My body, stressed to the max, even though it was thin – needed nutrition badly. I was able to eliminate my diet soda habit – something I had tried to do for years with no success. I can not stomach dyes and junk foods I used to live on. My body just WANTS the real stuff. Then they came out with a shake that would meet Meghan’s needs. 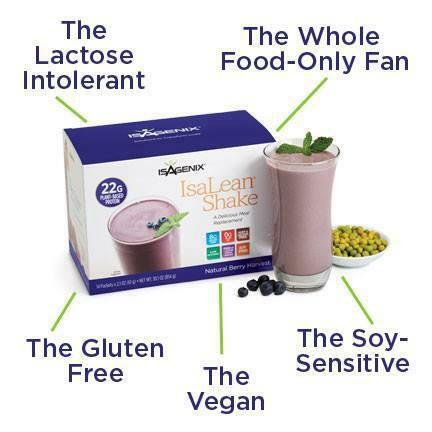 And then we were three consuming Isagenix, and feeling better each day. What an amazing thing to listen to your ten-year old TELL you when she NEEDS a shake. I am convinced the only reason she can swim the way she does is because she refuels with Isagenix. So, what does a family benefiting from a product do? They talk. Finally. After all that I finally got around to telling people of our success. Of the quality of these products. Of the positive life changes. And people wanted to know more. So I learned more. And I helped them. And they are getting healthy too. What a rewarding feeling. I have had to contend with the negative folks along the way. The ones who whisper, “That’s a multilevel marketing company..” as if that made it evil? Yes. Isagenix is a multilevel marketing company. There is no mystery, And no one tried to hide it. There is no one breathing down your neck to sell or share the products, and you are free to purchase and use for as long as you like. We did it for 11 months. But if you share (which is what I learned to do as a small child in school – simply share) and you help others, you get rewarded for that. Then I signed someone up. And they were happy. And I felt good. And then another, and another. And before I knew it there was this Visa card on my desk with money on it. Money I had earned from telling our story. Money I can use to do whatever I’d like. It got easier and easier. 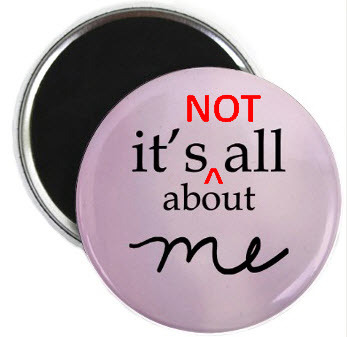 You see people say to me, as I had said to my friend, “I am not a sales person.” Me either. I am sure I couldn’t sell knives, or vacuums, or other random products. What I CAN do is tell the truth. I do it well. My candid honesty ties into my “take me or leave me” philosophy. I have no time for nonsense or drama in my life. But now I tell people, quite honestly, that I don’t pay for my Isagenix. We eat MORE products than ever, and we eat them for FREE. Now in my 8 years of buying nutritious food, THIS is a new concept. Isagenix has changed all of our lives in different ways. And we have all benefited. Felix needs to be strong for Meghan and I. And my Cowden’s Syndrome buddy and I, with our tendency towards cancer, tumor growth and a whole host of other problems, need to give our bodies pure nutrition so we have the strength to stay healthy. 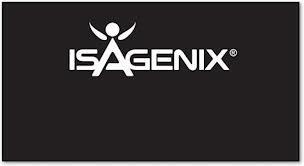 We are now, and forever an Isagenix family. It’s one of the strategies we use to keep it all together. May 16th for years has had a special place in my heart. In 1985 my cousin Meghan was born. I was in the 6th grade and giddy to get to know her. I never could have known at the time that her life would be tragically cut short after a more than 4 year battle with leukemia. Her feisty nature, her smile, her spirit, and her strength have always been an inspiration to me, and it was an honor years later, to be able to name my daughter after the spirited young girl who became an angel at 6 and a half, on my 18th birthday. 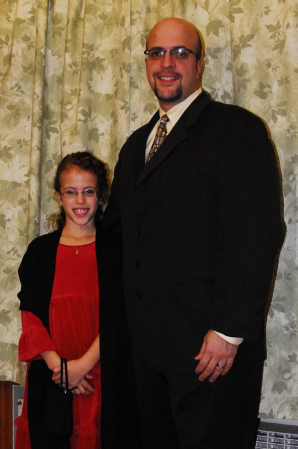 My daughter carries so many of the characteristics that endeared my cousin to me. She is the same kind of spirit, who lights up a room, and makes everyone smile by being around them. She endures medical procedures sparsely batting an eye, and accepts the reality of her life with grace. Last year on May 16th I was at NYU hospital, just 10 weeks after my bilateral mastectomy, undergoing a complete hysterectomy. 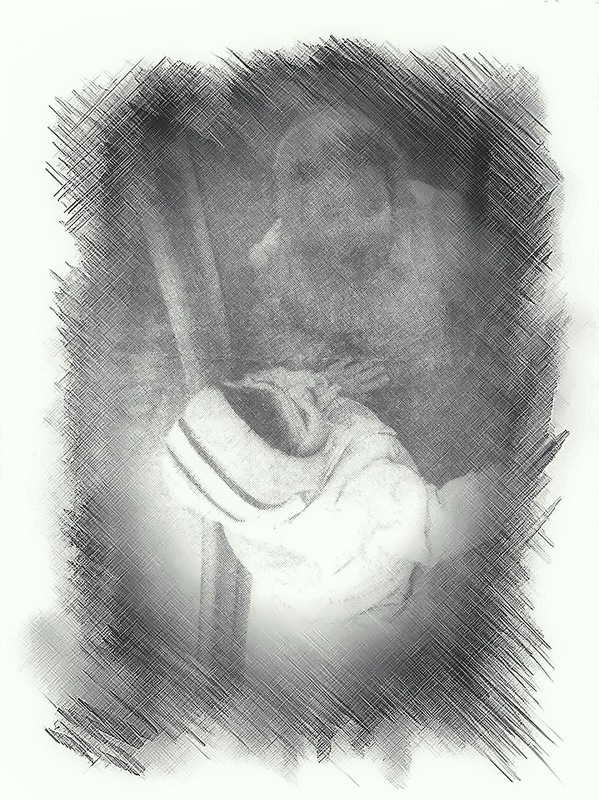 I knew that day I had the prayers of my family, and the strength of my angel by my side. I have a “thing” for dates. I remember numbers. Maybe this is how my love of math shows through. I like answers, and things that are absolute, or make some sense. Maybe my recognition of dates, and anniversaries is a way of marking time – or maybe its a way of celebrating. These anniversaries that I remember – some sad, others bittersweet, have shaped me as a person. They are all pieces of that every evolving puzzle. I thought about the surgery this morning. I thought about it being a full year since all my “girl parts” were officially gone. I thought of the perils of the hysterectomy recovery and how in so many ways this was a tougher surgery for me. Then I thought about my relief, and how much less of a cancer risk I am than I was a year ago. And I got dressed with a smile. I thought about Angelina Jolie. I thought about how happy I am for her – that she was able to make an empowered decision to get out in front of her breast cancer risk. I thought about how happy I am that she has brought genetic testing into light. But a few things have really bothered me. PTEN mutations (Cowden’s Syndrome and the sister disorders) carry with them the same imminent breast cancer risk. I myself had been tested for BRCA1 years before I ever knew of PTEN. I was negative. The genetic counselor who tested me did not even have PTEN on her radar screen. I know its rare – I do. But I have to believe this is the opportune time to at least educate the medical professionals, if not the public, on the reality that there are other genetic mutations that carry imminent cancer risks. I am sure there are more that I haven’t learned about yet. Let’s use this opportunity to raise awareness not only of the “popular” genetic mutations, but of the others as well. Had my daughter never been diagnosed, by the well educated geneticist – it is likely I would not be here to write this today. They have crept out in quantity and I have a few words for them too. If you don’t like the idea of a prophylactic mastectomy – then don’t have one. Plain and simple. 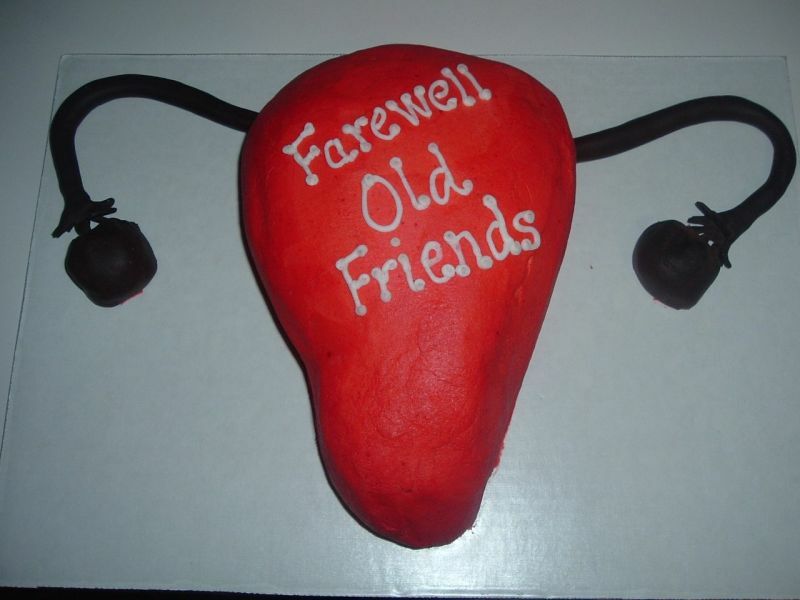 If you don’t like the idea of a complete hysterectomy at 38 because the alternative was 4x a year – yes you read that right- 4x a year SURGICAL uterine biopsies, then don’t have one. 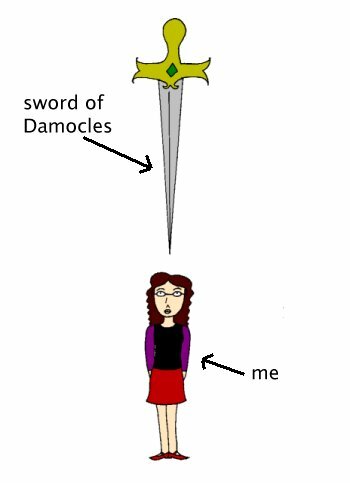 When you live with the Sword of Damocles hanging above your head every day, when you have to go about your business, and work, and raise a child, and pay bills, and shop and function with the feeling of impending doom that is sometimes hard to shake – when you have a diagnosis of a genetic mutation that is not going away no matter what you do. Then, maybe then you and I can talk. Until then, wish Angelina a good long healthy life. 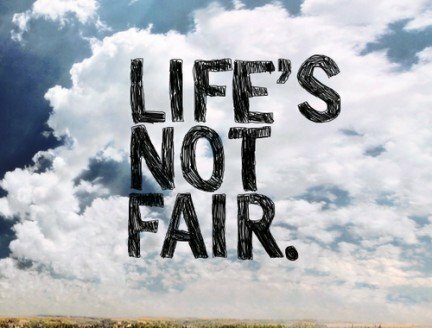 Look up “genetic mutations that cause cancer” or “The Global Genes Project” or “The National Association for Rare Disorders.” Get a feel for what we go through every single day of our lives. You probably wouldn’t know us if you passed us on the street. We are some of the strongest and bravest and smartest people you will ever lay eyes on. We stop and smell the roses. We hug. We smile. We laugh. We get how fleeting life is. May 16th will always be a significant day for me. But, moving forward -so will every day. The first year is over. Now on with the rest of our lives! This one’s for you Mom – HAPPY SWEET 16! This one’s for you Mom. My Mom doesn’t have Cowden’s Syndrome. The tests confirmed that. What she does have is strength, stamina, and courage unrivaled by most. She is a tough cookie. An inspiration with her determination. Not once throughout her life have I ever known her to give up. Long before she was a breast cancer survivor, she was a survivor of life. She survived a divorce, two jobs, and raising 2 kids alone – with the help of my grandparents. She survived sleepless nights, and worry. She battled for her kids- fought doctors, insurance companies and the like. And, she even battled with us on occasion… If you can imagine that! 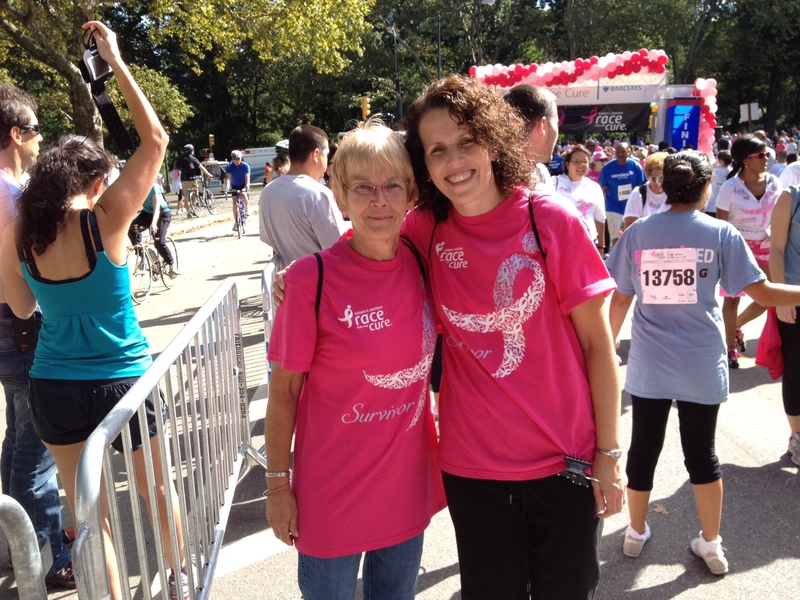 Long before she was a breast cancer survivor, she was my Mom. And she taught some valuable lessons I still use today. These are her words coming out of me these days…. 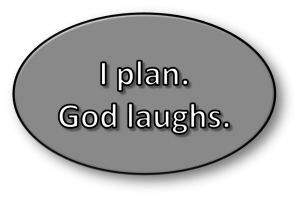 But God is good – all the time! When my Mom was diagnosed with breast cancer I was 23. I was scared. She might have been scared, but she attacked it with her “matter of fact” attitude that I think is what has gotten her so far. She went for her first mastectomy on February 24th of 1997. She was just 48. The second mastectomy followed in April when cancer was found in the other breast. 6 months of chemo followed. 5 years of Tamoxifen followed that. Truth be told, maybe we all did. But I did what I could to help out with her, around the house, and with my little sister. I was really just amazed by her drive. But I think I still am. I called her on the ride home and although I can’t imagine it was an easy call to take. She never flinched. She took the week off that I had the surgery (a HUGE compliment from someone who sparsely misses a day of work.) My recovery went so smoothly. And I had some of the best conversations of my life with Mom that week. When my pathology returned DCIS, she was the first one I called. Neither of us were surprised. And, yet her reassuring words, that she knew I had “done the right thing,” gave me such peace. 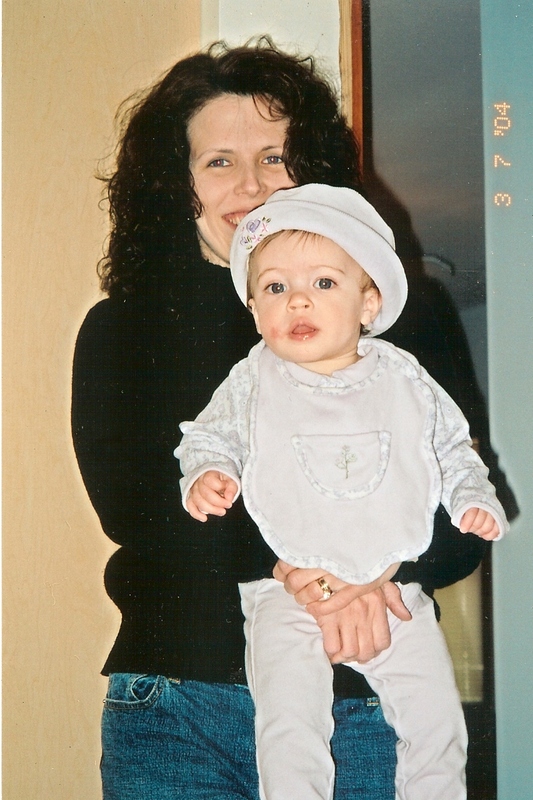 Before Mom was diagnosed she dreaded turning 50. After all she had been through she embraced 50 with grace and charm, and a few years ago gave 60 a great big hug. 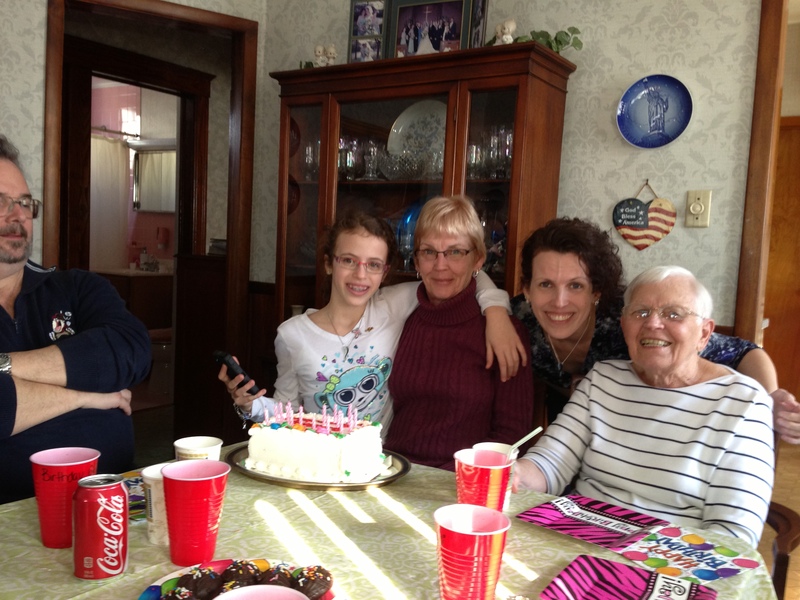 Mom’s 64th birthday – and 4 generations of tough ladies! This is a picture from her 64th birthday a few weeks ago. My mom may not be like everyone else’s. She can be a tough lady. She hasn’t had an easy life. But she has a heart of gold. And I love her for who she is. As I grow I realize everyone does the best they can with what they have where they are. 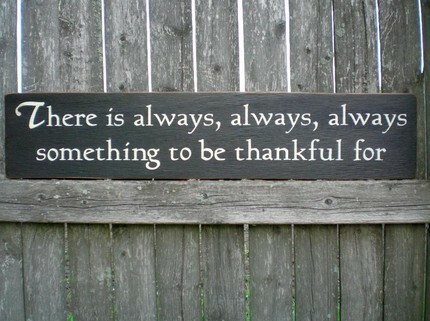 I am thankful – so thankful – for these last 16 years with my Mom. I am grateful she got to know my daughter. I look forward to having her around for a long time. A mother bonds with all her children, and she is close with my sisters – differently than how we are close. That’s what makes each relationship special. She will always be my friend. I hope she knows just how much she is loved. 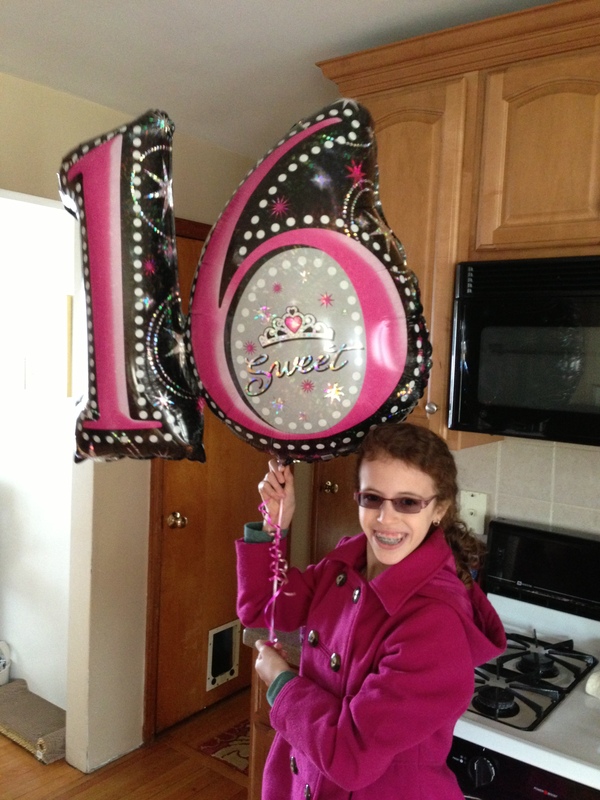 Happy Start to your 16th year – CANCER FREE! It has definitely been a week, (ok – month…year) for reflection. I started this blog in May of this year, after some encouragement from another Cowden’s sufferer. Once I realize how to do it, I was prompted to name the blog. I didn’t really give it much thought. I went with the first thing that popped into my head. And so, “beatingcowdens” was born. The name seemed appropriate at the time, and I guess it still is. But because situations, and people are ever changing, I don’t think the name means the same thing to me as it did 7 months ago. Back then I had already had my double mastectomy, and I think I still was under the notion that if we got out in front of enough things we truly could “beat” Cowden’s Syndrome, the same way you “beat” a football team. Well, I have come to realize to “beat” it would be to “defeat” it, and since I lack the power to change my genetic makeup, that simply can’t be. So now, I view it as a process. I spend each day, “beating” Cowden’s. Every time I get up. Every time I go to the doctor. Every time I fight to get better, and recover. Every time I explain to my daughter that it is all about HOPE and determination. This is all part of the process we call “beating” Cowden’s. So really, what is in a name? I guess it’s all about perspective – but then again, isn’t everything? I had plenty of time to think about the whole “name” question today, as Felix, and Meghan and I took a trip to Bethlehem, Pennsylvania. We accompanied the Moravian Churches on a bus trip to tour Bethlehem, and to take in the Christmas Vespers at Central Moravian Church. After a few hours in the bus, we got to tour the town. We walked up and down Main Street, enjoying the little shops, and a nice dinner. It was a welcome switch from the normal craziness of doctors, and illnesses, and therapy. It was better than filling out paperwork related to the car accident. It was, even through the chilly mist, a nice family day. Although I must admit, as we gathered into the church for the service I still felt a bit odd. For so many years, and until so recently, I sharply defined myself as a Lutheran. Now, I was looking up at a Moravian star, marveling at the wonders God can work, and the sometimes unusual ways our prayers can be answered. Personal issues with the Pastor at my home church left me unsettled and in many ways devastated earlier this year. So, I turned to God and asked for guidance as I looked for a new place to bring my family to worship. It was a long process, with lots of prayers, but some time in late August, I drove up Victory Blvd. I made a left and parked. I went into Castleton Hill Moravian Church on what I thought was a whim. I later thanked God for sending me the message I had been asking for. I brought my family the following week, and we have been attending faithfully as a family ever since. I know a good deal of Lutheran theology, and I am learning the history of the Moravian church. There are countless similarities, and a few differences – all of which I like. Knowing that no place or person is perfect, and everyone has their shortcomings, I like the welcome feeling I get at each worship service. So as we settled into the top row of the balcony of Central Moravian Church, I stopped and prayed. I asked God for peace from the constant turmoil that seems to surround our lives. And, as I sat there with my husband and my daughter a deep peace settled on my soul. Here in this almost 300 year old building, I found peace and comfort in the fact that my family was now enjoying church with me. What’s in a name? Lutheran, Moravian…. I don’t think God cares. He looks for a heart that is right and focused. I couldn’t get through a day, especially not sharing this diagnosis with my daughter, without the firm belief that we are being watched over.